The Known Crewmember® (KCM) program is a joint initiative between Airlines for America (A4A) and the Air Line Pilots Association, Int’l (ALPA).KCM ties airline employee databases together in a seamless way and enables Transportation Security Administration (TSA) security officers to positively verify the identity and employment status of crewmembers. This enhanced process leverages current technology to provide an effective and cost-efficient solution. ALPA and the A4A met in late March 2011 with TSA Administrator John S. Pistole and received TSA approval to install and test Known Crewmember® at as many as seven U.S. hub airports. 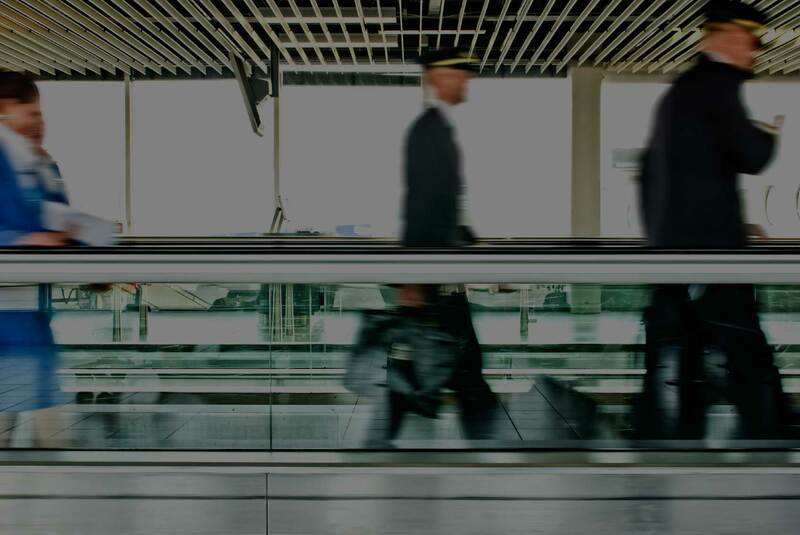 This enhanced identity-verification and employment-confirmation system for airline pilots will make airport checkpoint screening more efficient for all who depend on air transportation by removing airline pilots from passenger screening lines. The Department of Homeland Security and the White House also have given their approval for KCM. In May 2007, the TSA approved the first version of an alternate screening method called the Crew Personnel Advanced Screening System (CrewPASS). CrewPASS has been used successfully at three East Coast airports—Baltimore/Washington International (BWI), Pittsburgh International (PIT) and Columbia (S.C.) Metropolitan (CAE)—for almost three years. Questions or feedback by flight crew should be directed to your respective airline. Legal Notice: This website is only intended to provide an overview of the Known Crewmember® program. Questions about the specifics of the program should be directed to your airline. This is not a U.S. government site. © 2019 Known Crewmember® All rights reserved.